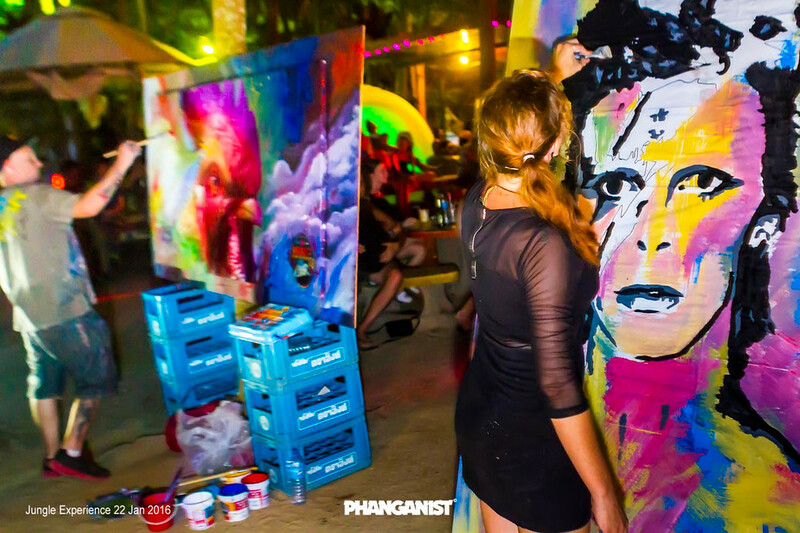 The island of Koh Phangan attracts many creative beings from all over the world and outta space. It also helps to inspire those who have not created before to begin their own creative path, it must be the magic! Of course the local Thai community are the ones who begin our creative introduction, with their many skills in Thai crafts and art, you can see beautiful things that you have never seen before. Wonderful paintings of buddha or carvings and statues. You just have to look at the many gloriously crafted temples to understand that Thai people have a particular eye for art and aesthetics. You can see some interesting Thai sculptures at Wat Samai Kongka Temple which are said to be about the lessons of karma and Buri Beach Resort in Haad Rin has some beautiful thai decorations in their lobby. Over the last few years more and more artists have been visiting the island, most liken it to a great source of inspiration with its wonderful nature, energy and the fact that all of the people you will meet will inspire you also. 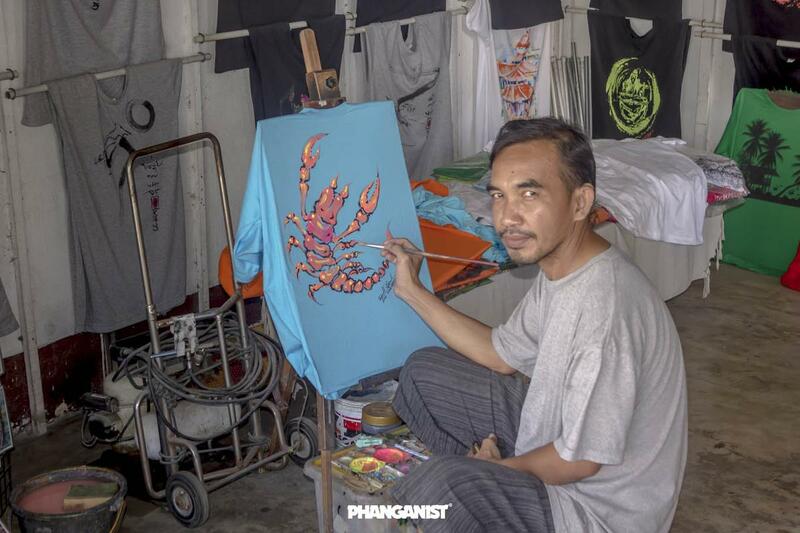 So you may notice street art now on Koh Phangan, sometimes all out there for you to see on a large scale and sometimes more hidden, you’ll have to keep your eye out! You can read our Ban Kai to Thong Sala art trail article to get you started on a little tour. You may notice at some of the parties that they have art in the surroundings or even live art happening with performances also. When it comes to fashion you will be nicely suprised at a wide spectrum here on the island. You can find high quality trance wear to your wear once neon full moon party t shirts. There are a great range of clothes shops to chose from and also the markets offer affordable clothing. You can even find almost designer wear here, read our high end fashion article for more. The island often showcases some its talented designers and shops with fashion shows and there are exhibitions happening all the time. Koh Phangan is also host to beautiful jewelry makers and shops that offer unique and bespoke pieces that you will not find anywhere else. If you are interested in the power of stones then this is your place! Keep up to date with our Art and Fashion articles to help you on your way!